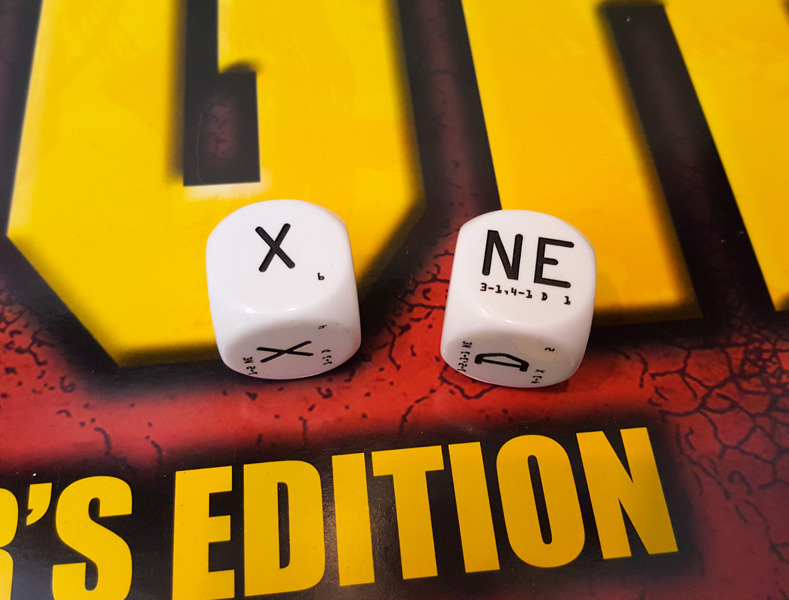 Proving yet again that SJ Games fans are some of the most creative people, Ogre player John Dallman sent us a pair of dice he created representing the Combat Result Table, without having to use the table itself! It's a pretty ingenious little system. Without confirming the math and statistics, it looks close enough to make for a great approximation. They are not official merchandise or for sale, but when a gamer creates something this cool, we want to highlight them. Great work John!